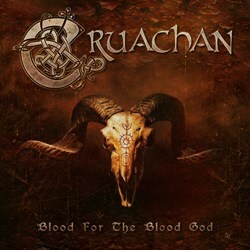 Pioneers of Celtic folk metal Cruachan from Ireland, will release their 7th full-length album “Blood for the Blood God” on December 5, 2014. It is their first album with the German metal label Trollzorn / SMP Records and it continues the trilogy that began with “Blood on the Black Robe” in 2011. The band returns back a little more to their black metal roots, without neglecting their folk shares, for which they are loved all over the world. Album tracklist is revealed, together with the cover artwork, painted by Cruachan’s John Fay. Some first samples of the album can be listened in their official pages. Except for CD edition, “Blood for the Blood God” will be also released on a very limited vinyl run! Details will be announced soon.